Heat the oven to 180 degrees. Mix the onion, garlic, olives, tomatoes and parsley with olive oil. 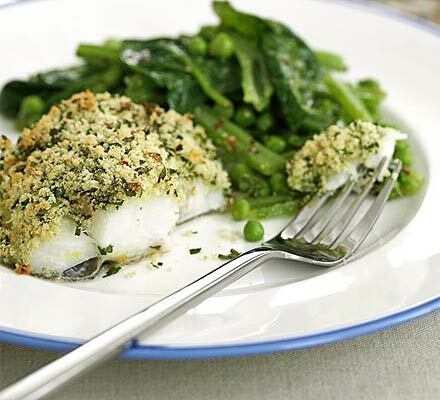 Place the cod fish into a baking dish and pour in the wine. Spread the tomato and olive mix onto the fish and cook for 20 minutes. Cook green beans and roast cherry tomatoes. Place as topping for added flavor.